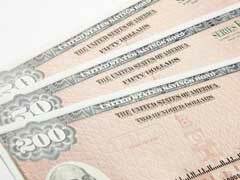 United States Savings Bonds - Are They Worth Investing In? United States Savings Bonds – Are They Worth Investing In? If you feel weary of volatile markets and constantly having to worry about your investments in the stock market or real estate, look no further than United States savings bonds. United States savings bonds are considered the most secure investment in the country being backed up by the credit power of the United States Government. While the interest rates on United States savings bonds might be generally low, you principal payment is well protected and is guaranteed to be fully repaid along with compound interest rates at the end of the maturity period. Investing in United States savings bonds is also a very tax advantageous decision since principal payments to purchase such bonds are tax deductible and you can additionally defer tax due on the interest income if you wait until the end of the maturity period. You can choose from three major types of United States savings bonds, namely, EE, I and Patriot bonds issued in the commemoration of the 2001 terrorist attack on the World Trade Center in New York. EE series bonds could usually be purchased at around 50% or their actual value with current interest rate of 1.4%. United States I type savings bonds are considered premium bonds because they are sold at a higher rate than their actual face value with current bond rate reaching 1.74%. Patriot bonds fully represent the EE series securities with one distinction of having words “Patriot bonds” printed on the face of the document. Due to 2008 bond limitation rule, no person can acquire more than $20,000 worth of United States Savings bonds in any given year. United States savings bonds are a reliable long-term security investment that is better suited for patient, conservative investors who prefer to avoid unnecessary financial risks. These bonds generally return low interest rates and have limited liquidity. If you do not anticipate any alternative investments or immediate need for cash within the next year, US savings bonds could be a safe long term investment, however, do not tie up a large chunk of your portfolio into one type of investment. Investing in a variety of bond index funds gives you an ample opportunity to diversify your investment portfolio while you are putting money into a safe government backed security. If you have a strong preference to government issued bonds, look into investing into a similar type of security like, for example, zero coupon municipal bonds that are backed up by full faith and credit power of a separate state or city within. Read our article that explains what to look for in municipal bond interest rates to help you navigate through multiple state issued bonds.